Happy New Year and welcome to the first Policy Watch for 2011. Paula Bennett (Social Development Minister) has allocated over $7.5 million to 131 community organisations in the fifth round of Community Response Fund. The final round is now open and closes 25 February 2010. The fund provides “funding for critical social services which are experiencing severe financial difficulty and are unable to maintain the level of their services as a direct result of the impact of the economic downturn on their non-government funding.” It also provides funding for social services “experiencing significantly increased demand for their services from families, children, young or older people because of the economic downturn” more. ‘Happy New Year’ or ‘Growth New Year’? The recovery is on track, according to Bill English, but building faster on-going growth will take time more. Meantime, ex-President of Harvard University, Derek Bok, has written The Politics of Happiness which questions whether Gross domestic product should be taken to be the leading indicator of national well-being. Bok’s finds ‘strong marriages and close relationships of all kinds, helping others, engaging in civic affairs, and effective, honest, democratic government’ tend to be what make people happy. Exactly the sorts of things that not only benefit individuals, but benefit society as well more. The cheapest pack of cigarettes increased from around $10.00 to $12.00 with the government’s 10% increase in tax on tobacco. Prices rose on 1 January after a mammoth 24% increase in May. Another 10% increase is planned for next January. Smoking is bad for health, but the continuing sudden tax increases largely affect the poorest, and least well able to cope. Are we increasingly gathering taxes from a decreasing, increasingly unpopular, and largely vulnerable minority? After all, humanity has been (mis)using substances for a very long time for a wide variety of reasons. Smokers who find cigarettes are just getting too expensive just might switch to something else, e.g. alcohol – after all, it’s cheap. Finding wine at supermarkets for under $10.00 per bottle is easy; finding 3 litre casks of vodka based cocktails for under $20.00 is also easy. Not surprisingly, it is also easy to finding headlines associated with alcohol related carnage. The government is proposing: to tighten up liquor licensing rules, stop off licence sales from dairies, impose harsher penalties for irresponsible promotion of alcohol, set maximum trading hours and split the alcohol buying age so that under 20’s cannot buy alcohol in supermarkets. More significant is the proposed Bill does NOT include: raising alcohol prices, reducing alcohol accessibility and reducing marketing and advertising. Submissions on the Government’s proposed alcohol law changes are due on 18 February. Making a submission is easy thanks to: The Salvation Army, Alcohol Action New Zealand’s submission form and submission postcards obtainable from amanda@presbyterian.org.nz. See information online for Government information about the Bill and official details on making and presenting submissions. The more submissions, the more government listens. New Zealand children tell the United Nations what they think would improve their lives in Hear Our Voices We Entreat. This report is part of Government’s feedback to the United Nations on how it is getting on with its obligations under the United Nations Convention on the Rights of the Child. The children say they want domestic violence addressed, Māori listened to, inclusion in climate change discussions, a voice in local and national government and to learn more about diversity at school (amongst other things). Step one: prevent child neglect? Thanks to the Children’s Commissioner’s Office, starting to improve things for children should be easy. Preventing child neglect in New Zealand written by Janine Mardani was released early in December by the commissioner’s office. Homelessness, parental stress, financial difficulties, transient neighbourhoods, easily available alcohol, socio-economic inequalities, high unemployment and a lack of services all increase the likelihood of child neglect (p.11). There are a variety of recommendations. Addressing domestic violence is included; reducing poverty is absent. The Welfare Working Group discussion paper Reducing Long Term Benefit Dependency was released in November 2010. 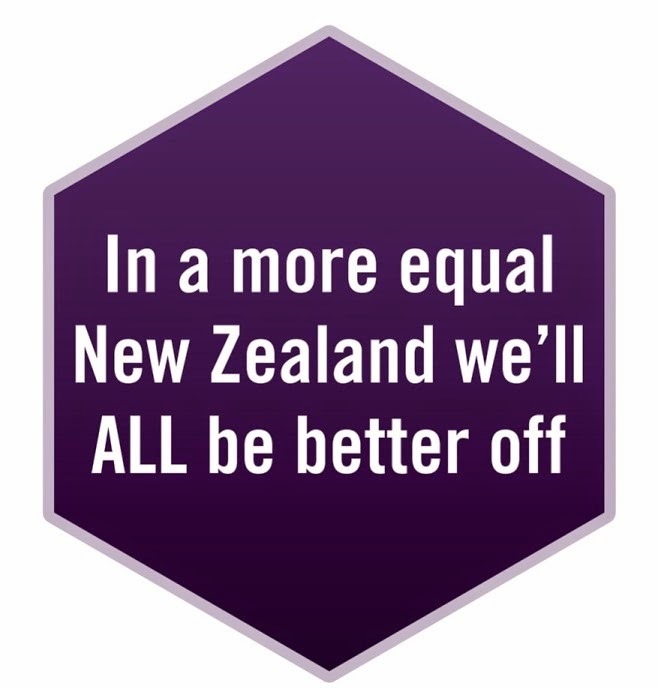 It mainly focused on paid work as an alternative to receiving a benefit (although national superannuation was not included in the report at all). Submissions were due on Christmas Eve. Getting a submission done on such a significant issue at a time when it is more appropriate to be increasingly focusing on family, friends and the Christmas season exercised many NZCCSS members. We were all fortunate to be assisted by the excellent work of Welfare Justice - Alternative Welfare Working Group an initiative of Caritas, The Anglican Church (through its Social Justice Commission) and BAFNZ (the Beneficiary Advocacy Federation of New Zealand. We were also assisted by the work of the Child Poverty Action Group and their forum Rethinking Welfare for the 21st Century. Our own submission to the Welfare Working Group is available here. ACC Minister Nick Smith announced that Government’s initial work “on ACC was about stopping ACC haemorrhaging after $7.2 billion in losses.” ACC Futures Coalition spokesperson Hazel Arms tong said there is no reason to privatise the work account as it is in “good financial order.” Labour, the Greens, the National Foundation for the Deaf, and the ACC Futures Coalition, have all expressed concerns about private insurers and accountability to their shareholders rather than the needs of those injured at work. Labour noted that levies are lower than Australia. Louise Carroll National Foundation For the Deaf summed it up stating: “The debate about levies and the financial health of ACC is important, but what’s more important is that people with injuries still get the rehabilitation they need and they are entitled to.” Southern Cross has welcomed the proposed ACC changes more . Carers NZ is calling on the Government to face up to the policy challenge of support for family carers who are caring for older people, children or disabled family members, rather than buying time by challenging the recent High Court decision that not recognising family members as paid caregivers is discriminatory and unjust. While some aged care and other major collective agreements negotiated with unions include clauses that exclude them from coverage under the 90-Day employment law, the State Services Commission is apparently directing Government Departments to force all contracts to include it all employment contracts. This raises the question whether there really be any chance for state sector workers to reach “mutual agreement” on including the clause in their contracts, according to Labour’s Grant Robertson. At the ICT Conference for the non-profit in May. Keep your eye on the website: http://www.connectingup.org.nz/ or email connectingup@growevents.co.nz to be kept in the loop.